HappyFox allows users to create both Ticket & Contact custom fields. These custom fields can be of different types ranging from Text, Number, Date to Multiple-Option. In this article, let us explore how a Multiple-Option custom field can be set via API using PHP. An important thing to remember about multiple-option fields is that they behave similar to lookups/drop-down. When we try to set them via API, we need to pass the “Id” of the lookup values that we have created and not the actual lookup-value itself. Note that the indexing starts from 1 onwards. So let us consider the scenario where we try to create a ticket via API using a PHP script and we would like to set this multiple-option field “Domain” during creation itself. In the above script, we have json-encoded the data that is being used for creating the ticket. Please ensure that when json-encoded data is used, the ContentType matches the type of input data i.e “Content-Type:application/json” in this case. 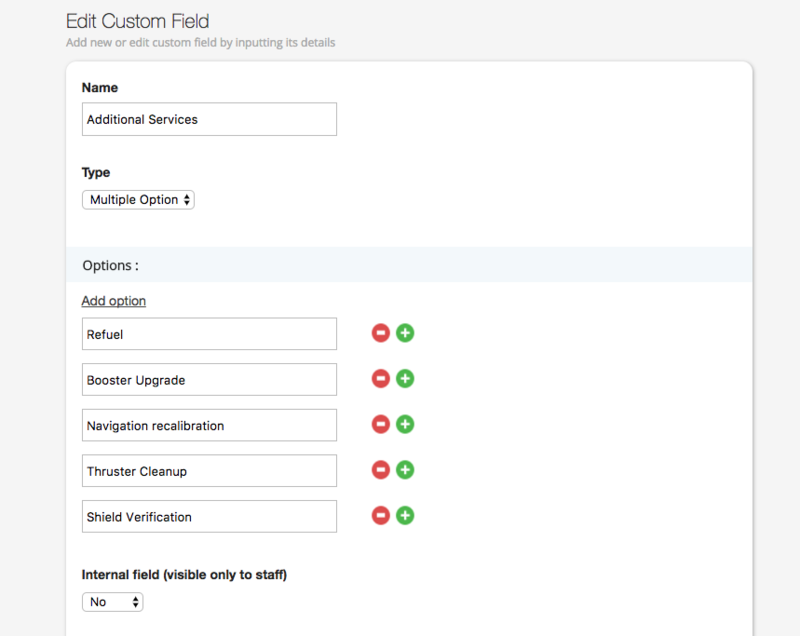 Also, “Additional Services” custom field is referred to by the internal field-name “t-cf-2”. Note that, the we are passing the lookup-ids to this array instead of the actual values. On executing this script the following ticket gets created. 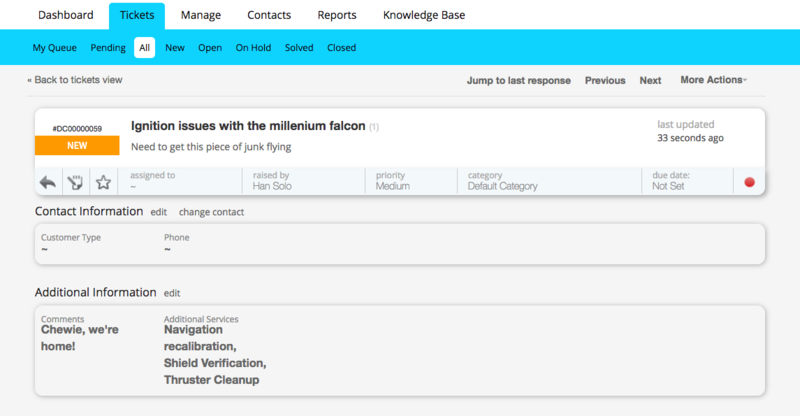 On the ticket-detail page, we can see the proper display values for “Additional Services” field that we set via API.